Martin Henschke spent six months with Loop Foundry in late 2016 (back when it was still known as The Foo Project) during the final months of his PhD. This is his experience working with us. Coming to the end of a PhD presents students like myself with something of a dilemma. Although the experience had been extremely valuable and I am, in as modest a fashion as can be permitted, proud of my achievements during that time, I can’t earnestly say I’m interested in continuing an academic career. Research has been now the focus of my professional life for 7 years, and it may well continue to be but the lack of a concrete objective has sometimes made the work difficult and, rarely, unsatisfying. Some of my colleagues have found the same, and moved out of research into engineering, software development and other fields. To fund the last few months of the writing up process, I signed on with The Foo Project, a one-man business software company. The owner, Jack Scott has been running the company since 2012 (around the same time I started my PhD incidentally), and I joined up to work as a software engineer and where necessary lend a little UX expertise to the work. 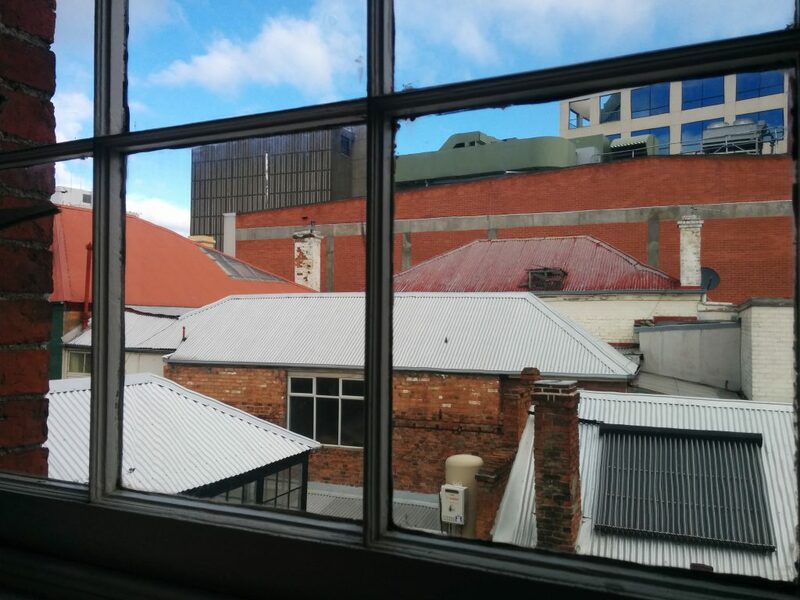 When I first started, the company was a bedroom operation, and I worked from home and communicated via Slack, although after a month we moved into a small office on Elizabeth Street. The project I spent most of my time on here was the ‘VAS Reading Echo’ system, a piece of business software designed to test a child’s VAS, or ‘visual attention span’, a metric designed to help quantify and explain early-development reading skills and suggest solutions. For my part, that meant learning web programming effectively from scratch and working with a large pre-existing code base across two platforms and five languages. The work has been an extremely refreshing change from my previous experience; web development is the polar opposite to blue-sky research. A day on this project would typically involve adding additional functionality per a spec, identifying issues with existing functionality and resolving them; each step discrete, concrete and solvable. Working with an existing code base is challenging but for someone used to the fruit of their work being a publication, watching a website come together is pretty satisfying. It’s been a great six months here. I’ve learned a lot about commercial software development, and rather pleasingly another little bit of the internet now has my mark on it.